Scientific positions are available to join a team working on the early biosphere evolution, in particular early life traces and the emergence and rise of biological complexity (cyanobacteria, eukaryotes) in the Precambrian, and the characterization of biosignatures for detecting life beyond Earth. In particular, we are looking for one postdoc and one spectroscopist. Positions are for one year, with the possibility of a second year. The spectroscopist will continue the development of a database of Raman and infrared spectroscopic signatures of fossil and modern microorganisms, and support the ongoing projects of the group in identifying organics (characterization, thermometry) and minerals. The postdoc will work on the nanoscale characterization and fossilization processes of organic-walled microorganisms in modern and ancient siliciclastic sediments and implications for the detection of past life in early Earth and Mars clay/shale deposits. Enthusiastic and motivated scientists are encouraged to apply until the positions are filled. The competitive salary makes it possible to live comfortably in Liège and includes benefits. 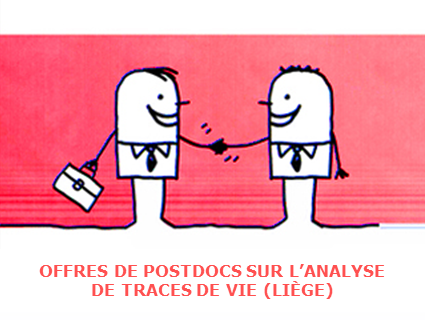 Send your CV with a cover letter and the names and contact information of two or three references (all in PDF format) to Prof. Emmanuelle Javaux (ej.javaux@ulg.ac.be).